Home Food & Nutrition "Pregnancy Diet Advice"
Pregnant mothers always wonder that what they should eat & what not. Some says a mother should take the diet of two people because she needs to take care of one more life. But is it true, if yes what they should eat & if not how the baby will get proper diet to grow as a healthy child. 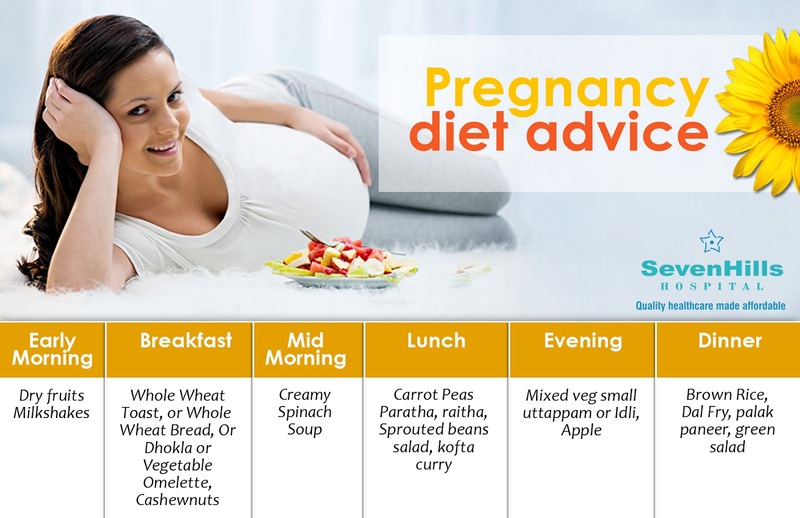 During pregnancy period many women find no desire for eating food normally in the first trimester, in such case as a healthy mother you should follow healthy diet plan to provide essential nutrients to your baby. You can make whole day diet plan from various combination of food for four to five days and follow it whatever you wish to eat. You can plan your diet from morning breakfast up to dinner. Various combinations of fruits and vegetables gives you taste in your meal and nutrients to your health.